Beijing is reaching back into the excesses of Maoist Stalinism and forward into the high-tech social control of Aldous Huxley’s “Brave New World” to try to contain the restive natives of its colonial outposts, Tibet and Xinjiang. And Beijing’s problems with its occupied territories don’t end there. After a farcical process to “elect” a new governor for Hong Kong, the stage is set for more grief for Beijing from the territory’s people, who increasingly feel themselves culturally and philosophically divorced from the Mainland. Beijing has beefed up its campaign of cultural genocide – no other phrase adequately describes what is happening – in both Xinjiang and Tibet since Xi Jinping came to power in 2012 as China’s Communist Party leader and President. The campaigns are not quite the kind of cultural dislocation and reprogramming foreseen by Huxley in his 1932 novel “Brave New World.” But the effects are similar, and Beijing has been swift to understand and adopt the opportunities for the control and management of its dissident citizenry offered by technological innovations. A note from the author: If you found this column entertaining and illuminating, please remember the work that went into writing it and donate the price of the coffee you drank while reading it. At the same time, about 40,000 high-definition surveillance cameras with riot-proof protective shells had been installed throughout Xinjiang. Nearly 17,000 were installed in the territorial capital, Urumqi, the state-run Xinhua news agency has reported. Since the middle of last year these campaigns have shifted into a higher gear. The intensified repression appears to be only partly in response to unrest on the ground, and primarily to reaffirm Xi’s well-established reputation as an uncompromising autocrat ahead of confirmation later this year for a further five years at the helm. Many of the tactics used by the Chinese regime to culturally, politically and economically destablize the Tibetans and the Uighers would be familiar to the old Communist dictators Mao Zedong and the Soviet Union’s Joseph Stalin. Indeed, the repression campaigns appear be largely successful. There has been little trouble in Xinjiang since the last serious outbreak of civil unrest in 2009, when nearly 200 people died in fighting between Uighers and Han Chinese, and during the intervention of security forces. In Tibet and the Tibetan regions of Sichuan province there was a rash of self-immolations in 2012 by Buddhist monks and nuns protesting Beijing’s destruction of monasteries and monastic life. There were seven such suicides in 2015 and three in 2016. The International Campaign for Tibet says the first one this year was on March 18, when a farmer and former monk, Pema Gyaltsen, set himself on fire in Kham in the Tibetan region of Sichuan. He may have survived the suicide attempt, and his relatives and supporters have been detained and beaten by police. 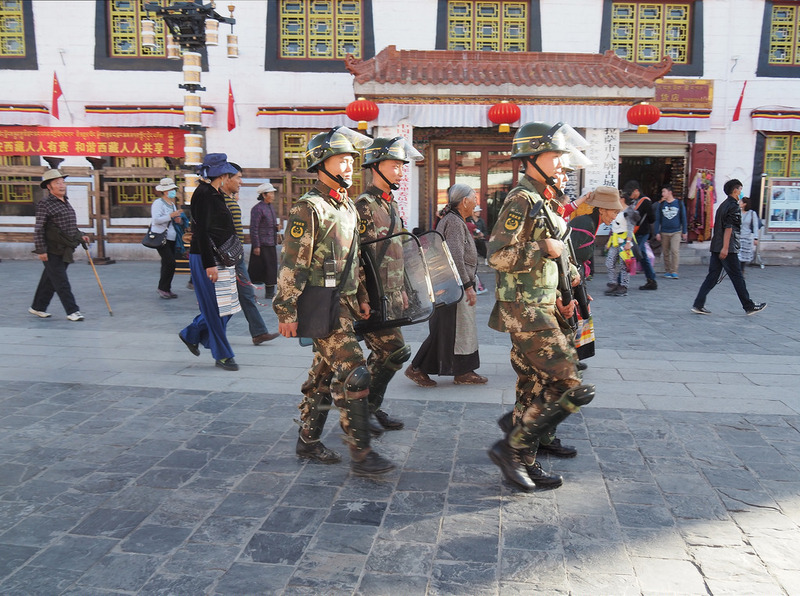 At the same time, Human Rights Watch says there is a massive campaign underway to remove monks and nuns from Buddhist monasteries and communities in Sichuan’s Larung Gar and Yachen Gar. The local government has ordered the monks running Larung Gar to reduce the number of monks from the estimated 15,000 to 5,000. To enforce this order on March 12 the local authorities began the demolition of nearly 3,300 homes associated with the monastery. Another video on social media shows a dozen Tibetan nuns in religious robes dancing and singing on a stage in front of what appear to be Chinese officials. They are singing “The Song of the Emancipated Serf,” another Maoist propaganda hit. Tibetan novices usually make a vow to refrain from singing or dancing when they become nuns. The performance thus seems to be an attempt at humiliation aimed at breaking the nuns’ religious dedication. Beijing accuses the Tibetans, most of whom are devout Buddhists, of being separatists and mired in archaic superstition. The native Muslim Uighers of Xinjiang are also accused of “splittism” – separatism — by Beijing, but it also says they harbour Islamic terrorists. Beijing has managed to get an acquiescent Washington to agree to designate some Uigher groups as “terrorist organizations. Meanwhile in Xinjiang, the regional Communist Party Secretary, Li Jianhua, has cited the example of Donald Trump’s putative Muslim travel ban to justify a clampdown on Islamic practices considered “manifestations of extremism.” These include men wearing beards, women wearing veils and anyone opting for Islamic weddings and divorces instead of civic procedures. The campaign of repression in Xinjiang has been stepped up since the issuing of a video last month, purportedly by the Islamic State group. The video detailed official actions against Uigher Islamic observance, and then showed Uigher-speaking fighters vowing to “shed blood like rivers” in Xinjiang. And in both colonial territories – China took full control of Xinjiang (“New Frontier”) in 1949, and invaded and occupied Tibet in 1950 – Beijing has intensified programs to move Han Chinese settlers into the outposts. This is both to provide work and opportunities for Han Chinese who need employment, but also to make the Tibetans and Uighers into politically irrelevant minorities. 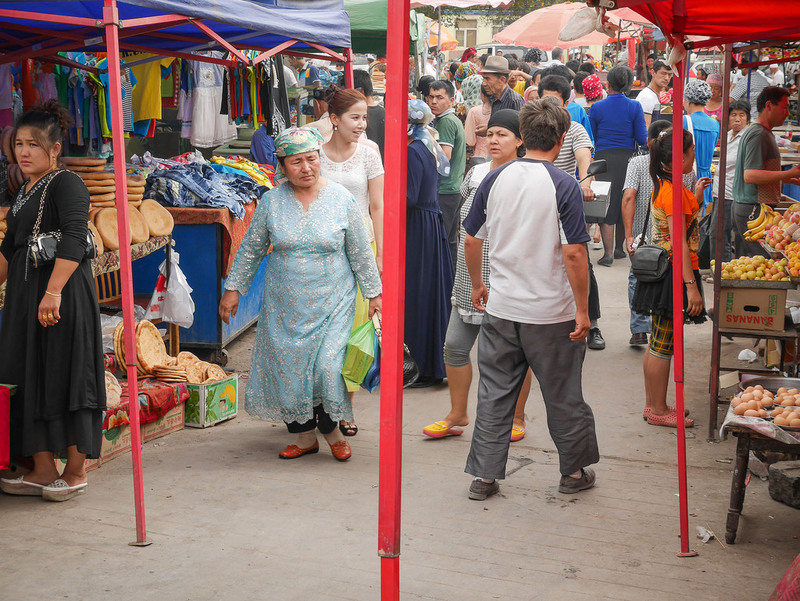 The Uighers are already a 46 per cent minority among Xinjiang’s 21 million people. Beijing insists that 90 per cent of the just over 3 million people living in Tibet are still Tibetans. But the exiled Tibetan religious leader, the Dalai Lama, believes the Han Chinese population is much larger, and increasing daily, in large part because of the opening of the first railway line into Tibet in 2006. Much of the apparent success of Beijing’s campaign of repression and cultural dislocation seems to be the work of one man. Chen Quaguo was the Communist Party secretary in Tibet from 2011 until the middle of 2015, when he was appointed party boss in Xinjiang. Australian professor of politics and Asian studies at Melbourne’s La Trobe University, James Leibold, and Adrian Zenz, lecturer at the European School of Culture and Theology in Korntal, Germany, have studied and written extensively about Chen’s methods. One of Chen’s most successful strategies has been to give a modern twist to an ancient system of urban district surveillance and control. Such systems go back to the Roman Empire and perhaps earlier. District-level party snoops were at the heart of Mao’s command and control system, and to a large extent still are. Chen, however, has adopted what is known as “grid-style social management.” This involves building and manning a police outpost to cover an area of up to 500 meters in radius in order to monitor the 400-or-so people living in that block. In order to give the impression that these outposts are just shelters for the local kindly bobby on the beat, they have phone battery re-chargers for the public and even umbrellas for those caught in rainstorms. Beijing’s investment in this tight network of surveillance and control in its colonial outposts is massive. 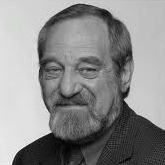 Zenz and Leibold say that Chen oversaw the building of 698 police outposts in the Tibetan capital Lhasa alone during his tenure. The system is now being applied to other Tibetan towns and cities, and even out into villages. In the Xinjiang capital Urumqi there are nearly 1,000 police outposts. Again, the grid monitoring system us being set up in other Xinjiang cities, and especially in areas where the Uighers still outnumber the settler Han Chinese. It has, of course, taken a massive increase in manpower to manage this intense program of social control. The two academics reckon that about 200,000 Communist Party officials are being dispatched to village and rural areas to keep an eye on the Uighers. They have also studied government recruitment advertisements and calculate that 31,000 additional police officers were taken on in Xinjiang last year, three times the number recruited in 2015. Leibold and Zenz also reckon that Xinjiang’s total security budget was the equivalent of about $30 billion in 2015. So far, Beijing has been constrained from using similar tactics in Hong Kong by the “one country, two systems” agreement by which the former British colony was returned to Chinese sovereignty in 1997. But that has not discouraged Beijing from taking every opportunity to undermine or discard the rapid advance to democracy, and maintenance of the British-style independent judiciary and rule of law Hongkongers were promised in the handover agreement. Beijing’s contempt for meaningful democracy was on display again last weekend when a new governor, known as the “Chief Executive” was selected by a 1,194-member “election committee.” The committee is dominated by people who for one reason or another are beholden to Beijing. In the run-up to their final vote for the Chief Executive, the committee members look to Beijing-controlled media and the speeches of Communist Party leaders to learn what is expected of them. This time, the message from Beijing was clear. It’s favourite from among the three candidates was Carrie Lam, the departing head of the Hong Kong civil service, and the fourth governor picked by Beijing since the handover nearly 20 years ago. The last three Chief Executives have been disasters to varying degrees and all have been down the list of the leaders Hongkongers would have chosen given the chance. It appeared there might be a change in the system in 2014 when a proposal for a popularly elected Chief Executive was on the table. However, that fell through the floor when Beijing insisted there could only be a free elected if the leaders of the Chinese Communist Party first decided on the list of candidates. Tens of thousands of young pro-democracy activists occupied Hong Kong’s main commercial centres for nearly three months and this upwelling of discontent pushed the territory’s legislature to reject the Beijing proposal. So now Beijing has total control of picking the governor, and will doubtless be happy to continue with this system for as long as it can. The prime qualification for becoming Chief Executive is “loving China,” which means in this context not doing anything of which the Chinese Communist Party does not approve. It is very difficult for a Hong Kong Chief Executive to do that and also keep the confidence of Hong Kong’s 7 million people. Most of them cherish their liberties and polls show a growing proportion – now well over 50 per cent – think of themselves either as exclusively Hongkongers or Hongkongers first and Chinese only second. Beijing likes to blame these sentiments on un-reconciled leftovers from British colonialism or people infected by “foreign” propaganda. The reality is that the vast majority of the young people who took to the streets in 2014 and those who continue to demand democratic reform were either toddlers at the time the British left or have been born since 1997. In her first speech after her “election” Lam said her first task will be to “reunite Hong Kong people.” That job was immediately made more difficult when within hours of her taking office police laid charges against at least nine people, including two members of the legislature, involved in the 2014 demonstrations. It is hard to dismiss the notion that the timing of these charges is politically motivated and that Beijing is pulling the strings on the Hong Kong police force. There are now several examples of Mainland Chinese police kidnapping or otherwise spiriting over the border people from Hong Kong who they wish to detain and question. Also, Hong Kong has a very efficient judicial system, and the mere fact that it took nearly three years to bring the charges against the demonstrators speaks volumes. The timing of the charges suggests too that everyone – Lam included – was being told that any moves on political reform in Hong Kong are a matter for Beijing and Beijing alone. The Chinese Communist Party may come to regret that position just as it may come to regret its oppression in Tibet and Xinjiang. All of the serious or successful political revolutions in China in the last 160 years have begun in the Cantonese region of southern China, of which Hong Kong is a part. Thank you to our supporters. To newcomers, please know that reader-supported Facts and Opinions is employee-owned and ad-free, and will continue only if readers like you chip in. Please, if you value our work, contribute a suggested minimum of $1 per day site pass via PayPal. You can pay Jonathan Manthorpe directly below — or find more payment options to support our overall site here.